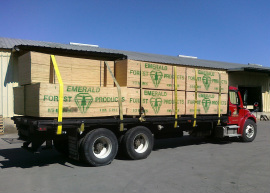 Our fleet of trucks is equipped to carry up to 12 units. We provide delivery within a 100 mile radius and may travel further for high volume or special orders. Please call us to inquire about our delivery locations and rates.